In this article, I’ll cover some interesting cases of running a VPN business. To begin with, the VPN industry is very saturated. You must have heard about major players on this market, such as ExpressVPN, NordVPN, or ibVPN. Perhaps you are even using their services already. Meanwhile, you might have no idea how many small and medium-sized VPN providers are out there. Furthermore, the VPN ecosystem is quite heterogeneous. Some of these tools are designed for English-speaking audience only, some focus on the Chinese market, and some offer free solutions. Different paid services use far-flung pricing models, where monthly fees range from $1 to $100. The moral of the story is that the VPN market is replete, there’s a bevy of services to choose from, and the competition is really tight. Therefore, if you are up to doing business in this niche, prep some money and hire a marketing team that’s good at promoting services online. Moving on with the subject of conquering the VPN market, I’d like to say a few words about customer psychology. Here’s the thing: selling VPN isn’t easy at all. It’s much harder than, for instance, selling a piece of software via an app store or commercial subscriptions to online radio. When a customer subscribes to online radio, the worst thing that may happen is that the service won’t work and they won’t get a refund. In other words, they lose several dozen bucks at the most. 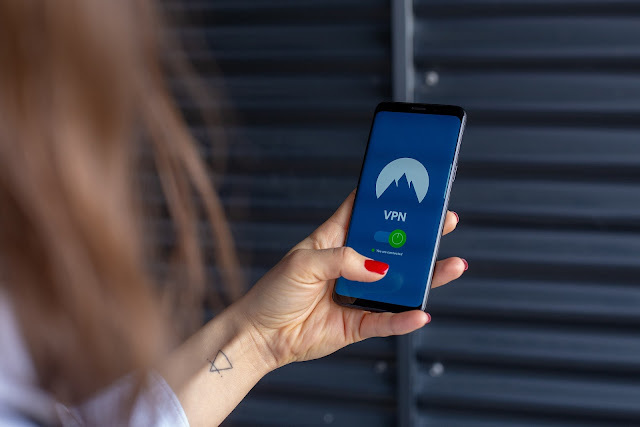 When a customer buys a VPN, then in addition to the subscription fee, a third party may get hold of private correspondence, credit card numbers, social network access credentials, and other sensitive data. Hopefully, the provider has no evil intentions. So, in order to sell VPN services successfully, you need to win users’ loyalty and trust. It’s a great thing if your tool boasts excellent ratings on some of the top sites reviewing such services, or if your Facebook page is full of positive feedback. It’s unlikely that someone will ever want to use your service unless it’s backed by good comments and reviews on the Internet. Your goal is to build trust with the customers, so be sure to play fair. Since VPN is a customer-oriented service, you will certainly need to provide tech support to your users. Most of the time, the customers run into the same issues that are a no-brainer to address. Therefore, you can register an account with Zendesk or similar service and create a knowledgebase there that will provide walkthroughs on solving the common problems. He’s trying to go online on an iPad connected to a 4G network and used as a Wi-Fi access point. A laptop is connected to this WiFi access point. Another VPN service is running on the laptop. There’s a conflict between your VPN and this whole chain (most likely a routing issue). You will have to sort out problems like that by either fixing them or refunding the money. When it comes to tech support, be prepared to deal with regular users and the ones who are always dissatisfied. Customer: What’s your port speed? Support: If you mean channel bandwidth, then it’s 100Mbps on fr3.mysupervpn.biz server and 1Gbps on the others. Customer: 100??? That’s awful! My channel speed is 750. Having seen the number “750” in some characteristics, most of these people think their speed will never get lower than that even on terrible Wi-Fi. They are also sure the data is transferred instantly between their laptop and any website. Such users will often offer you to “configure the server” so that the speed is 750. Abuses are an inalienable element of the VPN business. Sometimes, a customer comes to you, pays for the service, then configures the connection on their own without asking any questions and starts using it. This might seem like a theoretic best-case scenario, but it does happen. The next day, though, you receive an email from the web hosting provider saying that your servers are being used to download adult content whose proprietor is Brazzers. Moreover, if you stick with a no-logs policy (which you should, ideally), then you cannot identify which customer has been downloading the copyrighted content. Fortunately, only one user was on the web server at that time, and you might be able to identify him by the connection timestamp and the details in the abuse report. I warned the user that according to the EULA he wasn’t allowed to use VPN for illegal activities, after which he wordlessly stopped using the server. The web hosting provider let us off for the first time but threatened to suspend the account if such misunderstandings reoccurred. My guess is, many of the abuses ensue from the general affordability of VPN services. Consequently, carders, hackers, and other cybercriminals use more expensive, abuse-proof VPNs. The fans of freebies can easily find a free VPN or proxy. Judging by customer feedback, dedicated IP is a very popular feature. The bad news is that you may have to provide dedicated IPs on demand and for a much higher price because the web hosting service might not allow you to add extra IP addresses to the servers. Therefore, you will need to rent a separate low-end server for such customers. Some clients require a dedicated IP that has never been in use before. Furthermore, they need some guarantees and documents that prove it. Such a situation probably belongs in the “problematic clients” section as well. Long story short, if you are planning to do VPN business, think about dedicated IPs in advance and have a viable mechanism in store to switch them for an additional fee. Many VPN services have recently discontinued operation on the Chinese market. The so-called “Great Firewall of China” has started blocking VPNs more intelligently and effectively. Some people recommend changing OpenVPN port to TCP:443, which – as you might have figured – doesn’t work at all. The Firewall of China differentiates between OpenVPN traffic and HTTPS, so you need to disguise OpenVPN as something else to get around this. In that case, you should understand that your customers will have to install certain software in addition to the OpenVPN client. Therefore, it would be great to have a custom VPN client of your own, which – along with the updates – would have extra components built in for obfuscating traffic going to the VPN server. A profound understanding of Unix systems. In any case, it’s better to try than to regret knowing you’ve never tried at all. Don’t be afraid to launch VPN startups and gain precious skills.